It is with great sorrow that we announce the sudden passing of John Leimseider. He was a bright light, a remarkable, kind and loving man, an exceptional talent, and most of all a devoted husband and father. He is survived by his wife, Laura, his son, Noah, and daughter Zoë. He made the world better by being in it. He will be truly missed and forever loved by all the people and synths whose lives he touched. If John may have been in possession of an instrument of yours, please use the contact form on this site. John’s family will be going through his massive collection of synths, sequencers, amps, parts, and other instruments in the coming months and will make every effort to help you get your instrument(s) back. Your patience is appreciated. 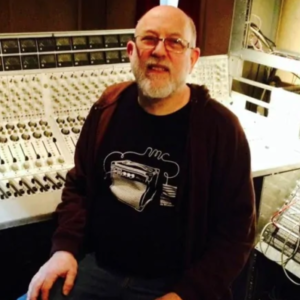 John Leimseider specialized in analog synthesizers, vintage electronic equipment, and keyboard repair for national and international musicians and collectors. With over 40 years of experience repairing and restoring keyboards and analog synths, John was one of North America’s premier keyboard techs.